This is one of best spring touring routes and a chance to get deep into the Nozawa backcountry. Maguse Onsen is an isolated Japanese village with traditional open air hot springs very close to Nozawa. 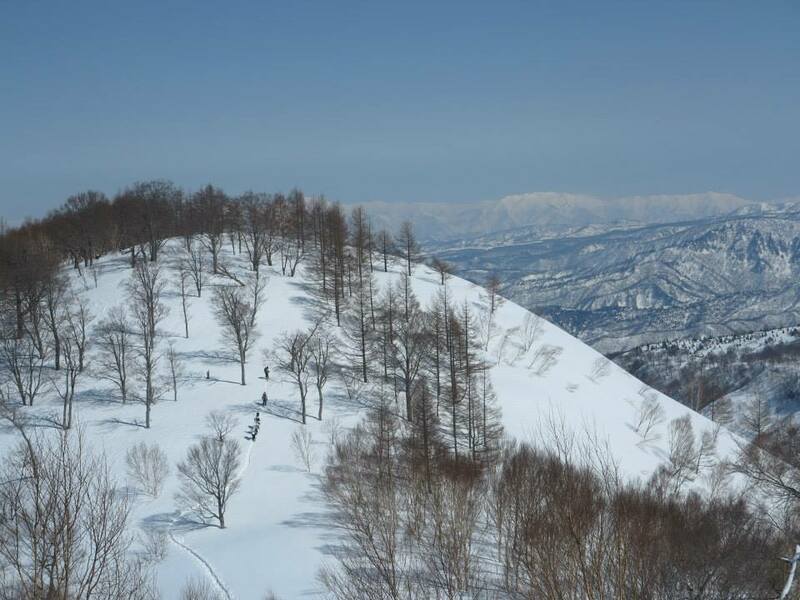 You can finish a morning of touring by skiing or riding from the summit of Nozawa resort directly to Maguse. The route travels along a south facing ridge, so don’t expect a lot of steep and deep turns. But you can expect a gravity assisted journey through classic Japanese forest finishing at an authentic outside onsen. This route is easier for skiers, but won’t be a problem for snow boarders who are prepared to walk the few flat sections.